Vernon Young Rider's is raising money to help offset the cost for lessons/training for their horses and dogs. 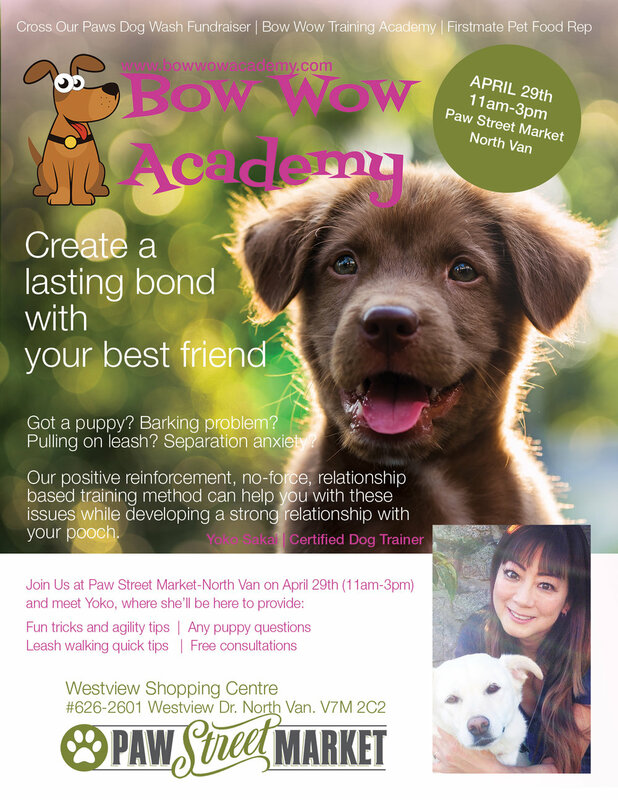 Please join us at our Vernon Paw Street location for this fun Dog Wash. 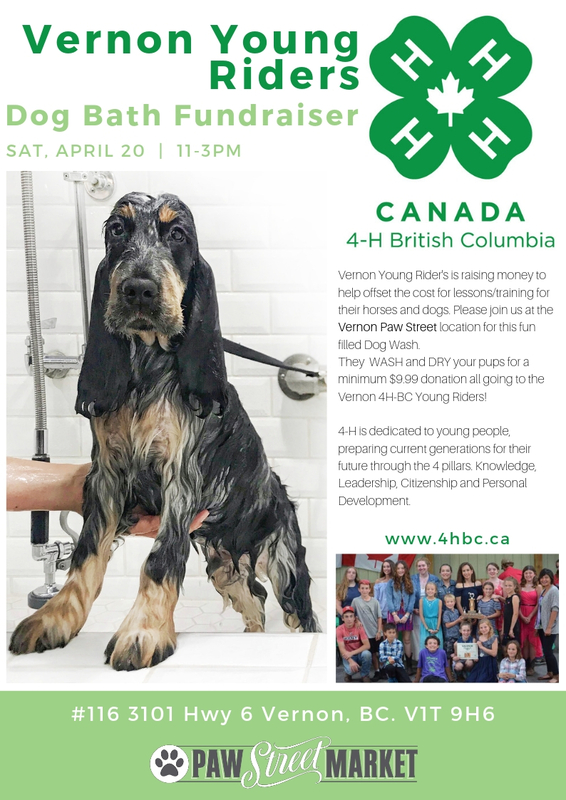 They will WASH and DRY your pups for a minimum $9.99 donation all going to the Vernon 4HBC Young Riders! Share with friends! 4-H is dedicated to young people, preparing current generations for their future through the 4 pillars. Knowledge, Leadership, Citizenship and Personal Development. December 8th & 9th 11am-5pm | North Van Paw Street Market. 3rd Annual Fundraiser for life. Paw Street Market in North Van is honored to be hosting it once again. A minimum donation of $20 is requested. This has been a very popular event and all proceeds benefit Cross Our Paws Rescue. This is a first come basis. Be prepared for a short wait at peak times. Feel free to dress your pet up otherwise they will also have accessories. Thank you. Saturday, July 14th 10am-4pm. Vernon Paw Street Market. A fun and rewarding Dog Wash Fundraiser for this local group raising money for rescues. They will have kittens & puppies that need adoption. Shuswap Paws will also have a few items to purchase, all going toward the society. Please come out and support them if possible. Thank You. 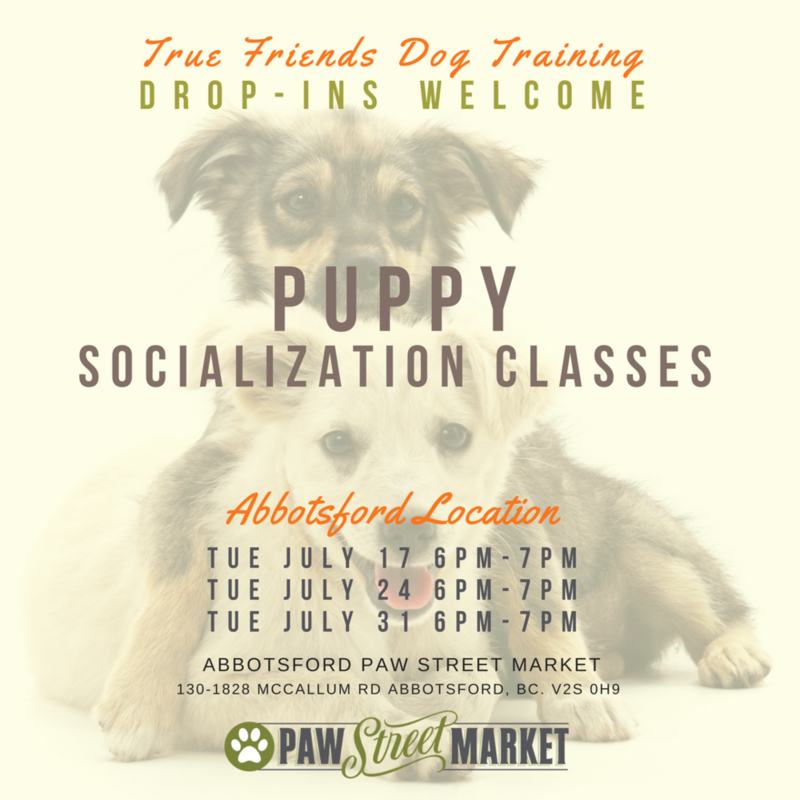 About Shuswap Paws Rescue Society: We are a not for profit society that helps animals from the Shuswap area and other small towns surrounding, like Lumby, Armstrong, Chase, Revelstoke and more.Handmade or salvaged items from the Shuswap. Raising money to help spay and neuter cats and kittens in our area. Hoping to help reduce overpopulation. Also paying medical bills on rescued stray animals. Spirit’s Mission Rescue continues to provide basic necessities for companion animals in isolated communities. This includes providing food for an emergency animal food bank, vaccinations, spay and neuter, transporting and rehoming animals who cannot be cared for at home, humane education and veterinarian referral and care. Is your pooch long overdue for a bath? Want to help out rescue animals in need? 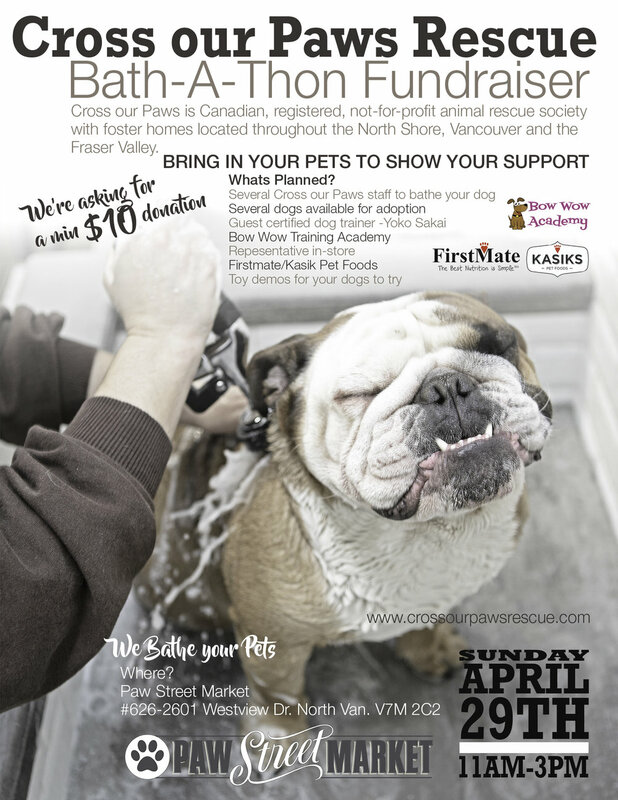 Aide For Paws & Rescue Society is hosting a doggy Bath-a-Thon on Sunday, March 18th at the Murrayville location of Paw Street Market from 10:00 am until 2:00 pm. Aide For Paws is a small foster based animal rescue group that works primarily with special needs & senior animals. All money raised from the Bath-a-Thon supports our "Sick Animal Fund" to help with the cost of veterinary care and medical expenses for our special 'Magical Unicorns". The current recipients of the "Sick Animal Fund" are brothers Duke & Bailey who are a pair of senior special needs Great Dane brothers that came into our care after their owner passed away. So come on down and bring your pet. Let us take care of your dog's bathing needs! Big or small we bathe them all!